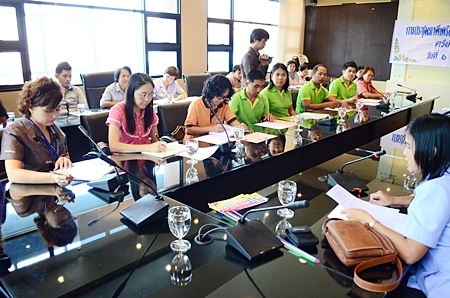 About 50 Pattaya-area social workers exchanged tips and discussed obstacles to preventing the spread of AIDS at the city’s fifth organized networking event. 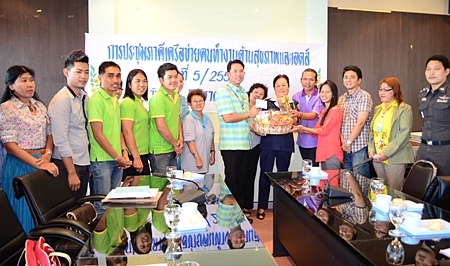 Mayor Itthiphol Kunplome opened the Aug. 6 workshop set up by the AIDS Prevention and Control Office in the Pattaya Public Health and Environment Department. 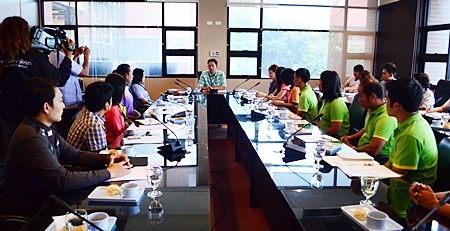 Mayor Itthiphol Kunplome meets with health and AIDS social workers at City Hall. 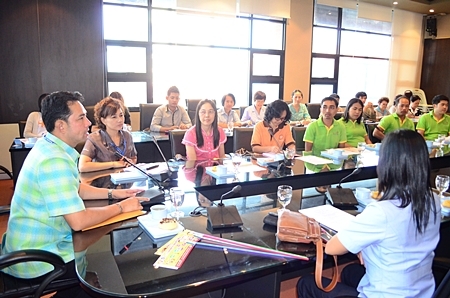 Social workers, volunteers and community representatives discussed AIDS-prevention information drives and obstacles, such as a shortage of certain sizes of condoms. 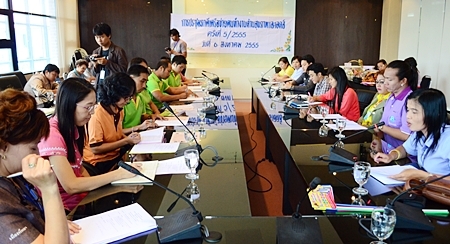 The AIDS office promised to look into the supply issues.